Why Join The Northern Utah Real Estate Investors Association? 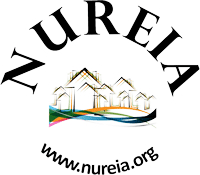 The Northern Utah Real Estate Investors Association was founded for investors in Box Elder, Cache, Rich, and Weber counties to network and share resources, information, and deals. We hold TWO meetings each month in northern Utah: the Ogden meeting and the Logan meeting. The Ogden meeting is on the 1st Tuesday of the month from 6:30-8:30 pm MST at 533 26th St; Ogden, UT 84401. The Logan meeting is held on the 3rd Tuesday of the month from 6:30-8:00 pm MST in the Stevens-Henager College, Logan conference room 755 South Main Street; Logan, UT 84321. Please join us! We look forward to meeting you at our upcoming events in Ogden and/or Logan. Please be sure join our mailing list to stay in the loop and check in on this site periodically for updates and access to member-only resources in the Member Archive.